Unfortunately, many home owners neglect the importance of chimney cleaning, and many are not even aware that it is necessary. Keeping a chimney and flue damper clean and free of creosote build-up, soot and obstructions is a preventative measure essentially for fire safety, as well as being an important part of the overall effort for improved air quality. The statistics are sobering, home fires kill over 2,500 civilians each year and injure 17,000 with over 11.5 billion dollars in property damage. According to the National Fire Prevention Association, heating equipment is the second leading cause of these fires and this includes fire places. Similarly, keeping a chimney clean is vital to ensuring the best possible air quality both inside and outside of the home. According to the EPA, compounds that are already in wood smoke and can worsen with an unclean chimney emissions include pesticides and the known carcinogen, benzopyrene. There are several reasons why keeping a chimney clean and in good working condition are important but, preventing an accidental fire obviously tops the list. It only takes a few hot embers rising up the chimney to ignite any leaves, branches, twigs, or animal nests and, a devastating fire can develop. 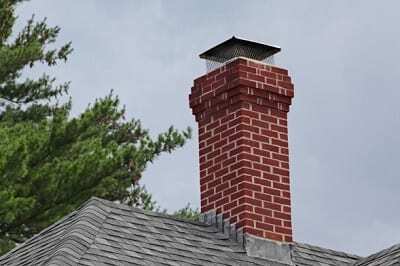 It is suggested by most professionals that a chimney inspection be done at least once a year, and should not be attempted without a trained eye and the right equipment. This is why it is best for someone with no experience in this area to have a professional inspection done. This can be a hard and dirty job, and requires specific tools such as, rods, brushes, and chemicals. Creosote is the soot that can build up in the chimney and is also highly flammable and must be cleared out periodically to maintain safe operations, not recommended for the faint at heart. Furthermore, newer fire place chimneys incorporate an internal liner in the chimney and must be checked for cracks or breaches where dangerous heat can escape posing a serious fire risk. Another benefit of keeping the old chimney clean is odor. In the summer months when the chimney is not being used, hot damp air reacts with the creosote creating that unpleasant musky smell. With regular maintenance this will be held to a minim. Furthermore, a clean chimney ensures that your fireplace or woodstove will burn more cleanly. When your chimney is clean, any emissions sent out will be the direct result of whatever is currently being burned, instead of including a buildup of pesticides and chemicals that have accumulated over time. It will also make sure that smoke is escaping as efficiently as possible, preventing those fumes from building up inside the home. A chimney with poor ventilation can also be a carbon monoxide killer just waiting to happen. We have all seen the tragic events when entire families have perished from its lethal effects. Fire places, as well as gas and fuel burning furnaces all pose a carbon monoxide threat and therefore, mandate regular, proper inspection and cleaning. In this way, proper chimney cleaning can help to improve air quality both inside and outside. Safety alone should be motivation enough for everyone who owns a chimney to keep it inspected, clean and in proper working condition. Either way, hiring a certified professional chimney cleaner or, taking on the task one’s self, it is something no one can afford to neglect. The expense involved in keeping that chimney clean and safe cannot be compared to the loss of a life or home destroyed by a fire that could have been prevented. So, in this regard, the importance of chimney cleaning cannot be over stated. The only good chimney is a clean chimney! A1 Quality chimney can answer all your chimney questions.